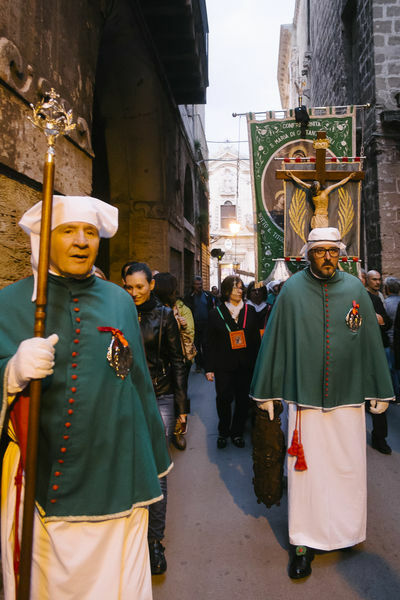 This photo essay documents the famous processions during the week before Easter, Holy Week, in Taranto. 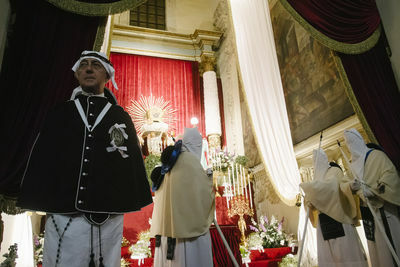 Since 1605, the devoted perform a traditional "pilgrimage" between the old and new city, visiting all the ancient curches in the city along the route. 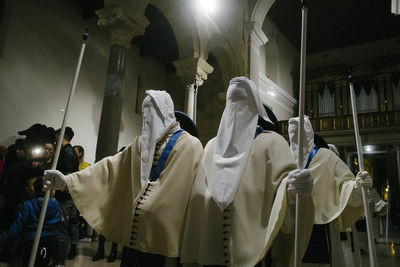 The two brotherhoods organizing the processions called: "le Perdune", "l'Addolorata," and "i Misteri". 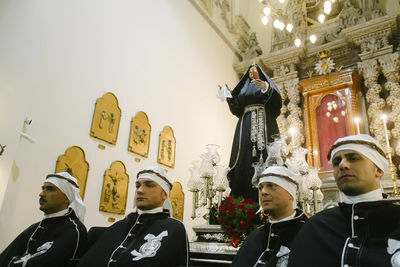 The priors of the brotherood of the grieving Madonna before the "alzata" of the statue. 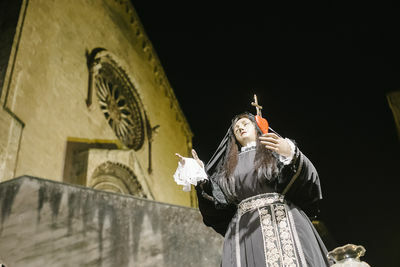 The statue of grieving Madonna during the pilgrimage in the Isola (old city). 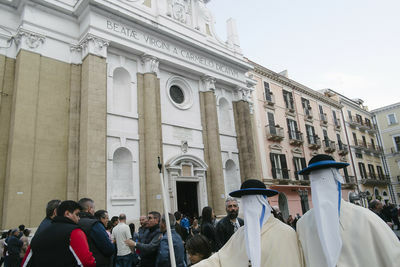 The exit of Madonna from Church of Saint Domenico is considered from the Tarantinians the main event of the Holy Week. 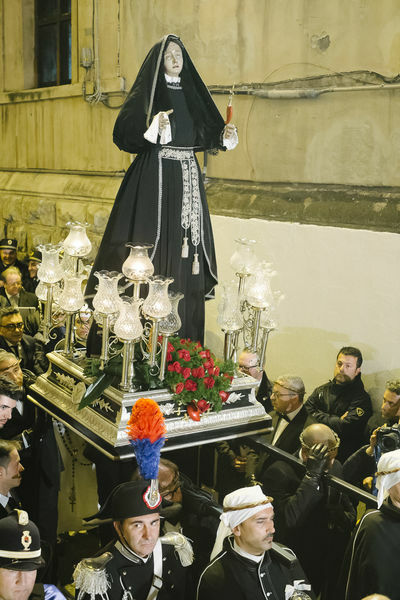 The pilgrimage of the statue of Grieving Madonna, the main event of the Holy week and the church of Saint Domenico, where the statue stands for the rest of the year. 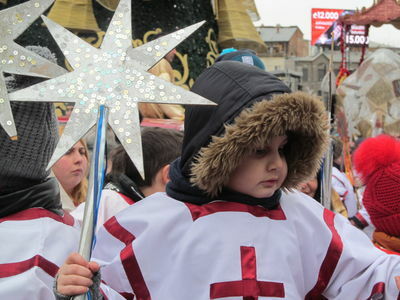 One of the three "crociferi" who bring the cross on the shoulder during the pilgrimage of Madonna. 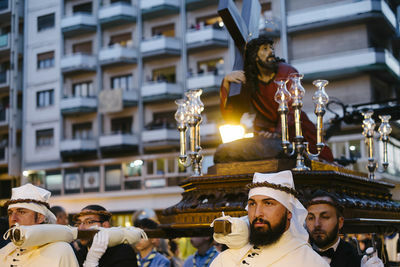 The statue of fallen Christ during the procession of "Misteri" the holy Friday. 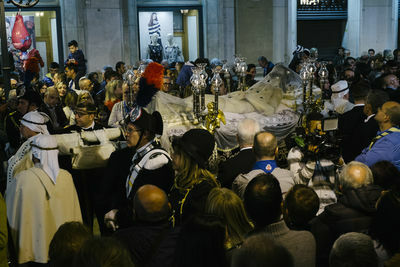 People bringing the statue of veiled Christ during the procession of "Misteri" the holy Friday. 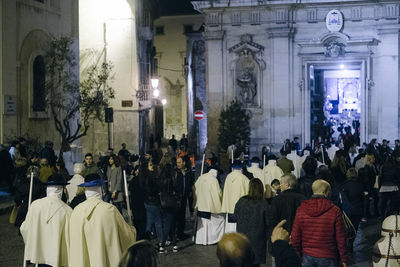 People bringing the statue of veiled Christ during the procession of "Misteri" the holy Friday, it's the last statue in procession during the holy week. "le Perdune", devoted people who ask the forgiveness to Jesus, near the curch of Carmine, in Borgo (new city) where they start their penance. They walk with barefoot using the traditional walking called "nazzecate", swinging slowly. 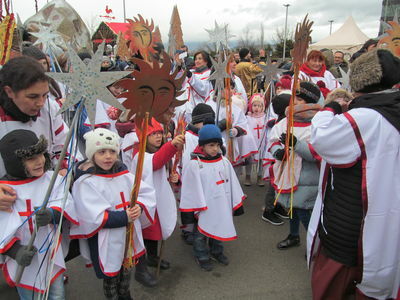 "le Perdune", devoted people who ask the forgiveness to Jesus, in Borgo (new city). 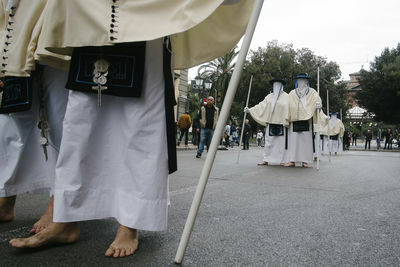 They walk with barefoot using the traditional walking called "nazzecate", swinging slowly. 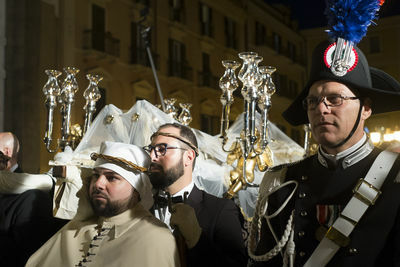 The famous processions of the Holy Week in Taranto. 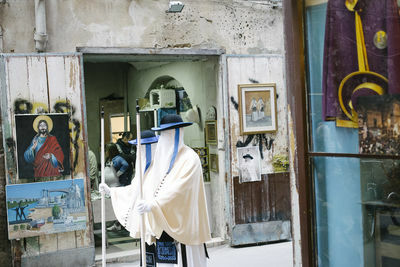 Since the 1605 the devoted doing the traditional "pilgrimage" in the old and new city, visiting all the ancient curches in the city. 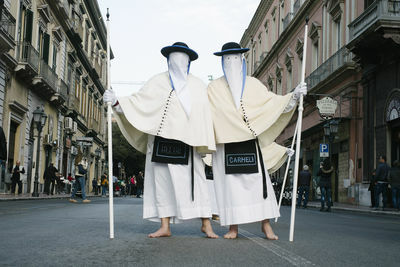 Two brotherhoods organizing the processions called: "le Perdune", "l'Addolorata" and "i Misteri". 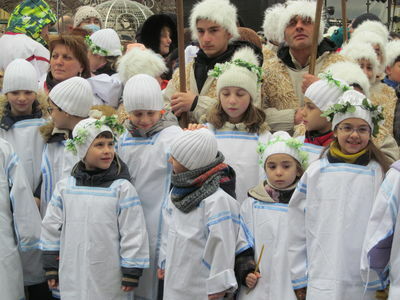 In photo: "le Perdune", devoted people who ask the forgiveness to Jesus, all'Isola (old city). They walk with barefoot using the traditional walking called "nazzecate", swinging slowly. "le Perdune", devoted people who ask the forgiveness to Jesus, going to the church of Duomo (main church) in the Isola (old city). They walk with barefoot using the traditional walking called "nazzecate", swinging slowly. "Le Perdune", devoted people who ask the forgiveness to Jesus, in the church of Duomo (main church) in the Isola (old city). They walk with barefoot using the traditional walking called "nazzecate", swinging slowly. "Le Perdune", devoted people who ask the forgiveness to Jesus, in the church of Duomo (main church) in the Isola (old city). A couple of "perdune" is called "posta", at every altar a posta give the change to the previous for the prayer, the change of the "posta" is a rite with secret words whispered to the fellow of brotherhood. 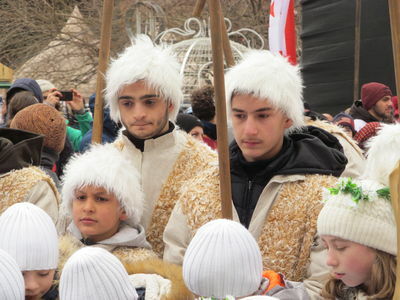 The brotherhood of Saint Mary of Constantinople (born in 1580) in the old city during the march from Duomo (main church) to the Saint Josef church. 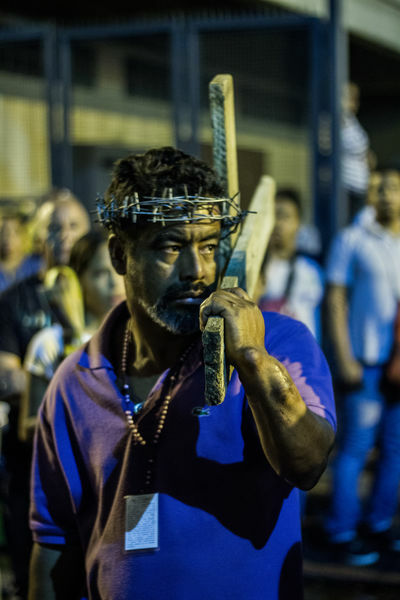 As a part of the Christian celebrations that take place in Venezuela during Holy Week, there’s one in Caracas called “El Nazareno de San Pablo” (The Nazarene of Saint Paul), the most popular of the processions made in honor of the image of Christ bearing the cross. 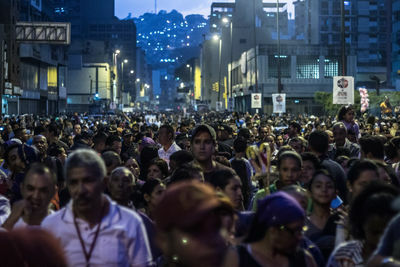 The celebration took place in downtown Caracas on 1 April 2015 and attracted thousands of people. 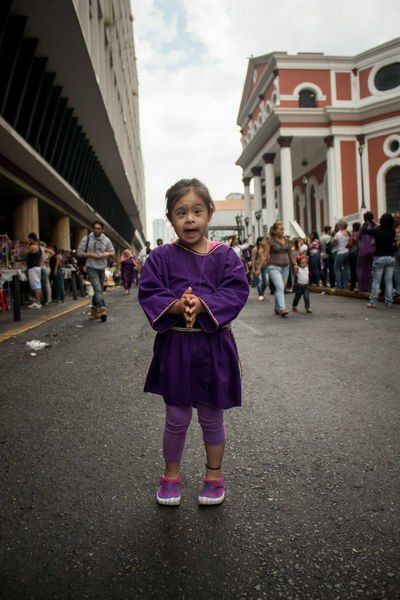 Whatever the political storms to hit Venezuela since 1998, this procession has consistently drawn some of the country’s largest numbers of participants. 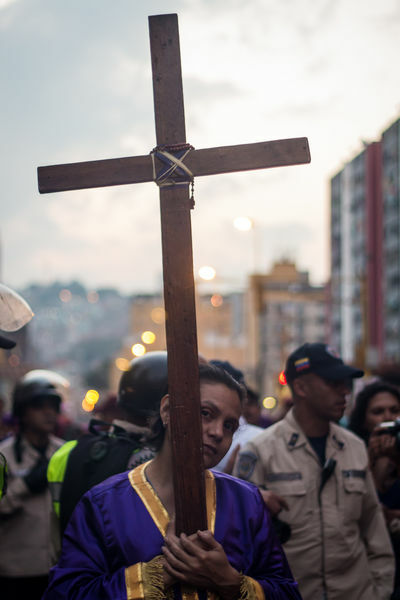 In spite of the socio-economic crisis now plaguing Venezuelans, both their devotion to this tradition and their religious identity in general remain strong. Whatever the effects of Chavismo, these traditions have overcome the many other transformations their lives have undergone in this era. 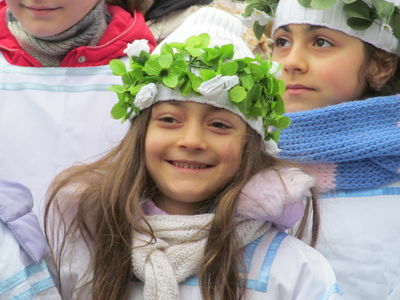 This festival’s popularity dates to an old legend that a miracle saved thousands of people from a terrible disease. 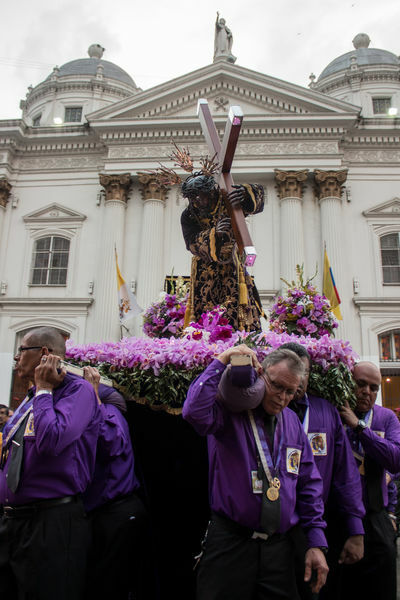 As the plague carried off thousands of lives, Holy Week arrived, and with it, several processions of different “Nazarenos” carrying the cross through various cities around the country. 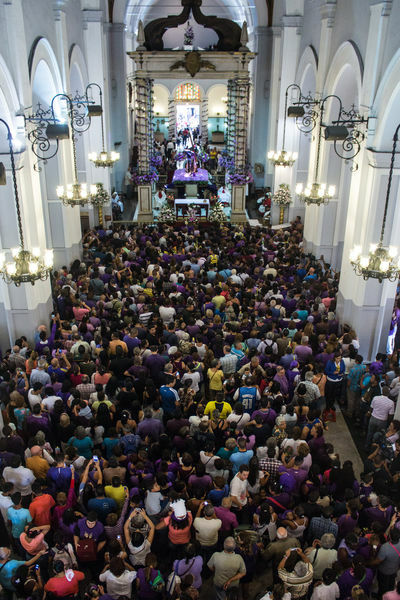 In the church of San Pablo in downtown Caracas, a wooden Christ was taken to the streets as it did each year. Suddenly, he got tangled in a lemon tree. When the lemons fell, people started eating them, and those who were sick began to heal. Word quickly spread, and more people came to eat the lemons from the miraculous lemon tree. 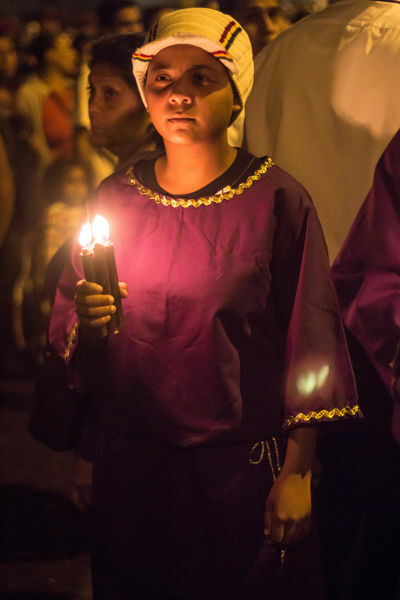 Since then, thousands of people all over the country come to the procession that occurs every Wednesday of Holy Week. 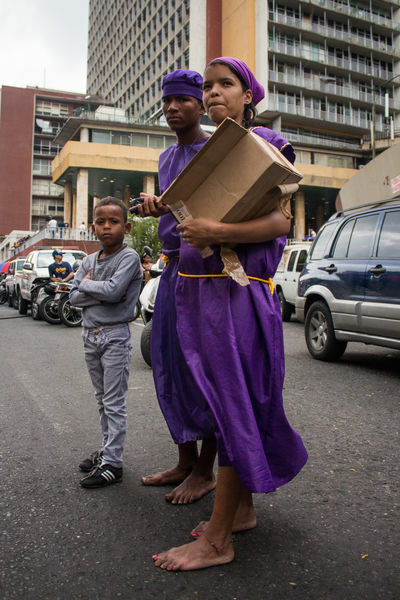 Most of the parishioners go dressed in purple, carrying crosses and a crown of thorns. Some choose to express their devotion by walking barefoot down the path as an offer or payment for a promise. Downtown Caracas celebrates in many ways and is flooded with colors portraying the different aspects of Venezuelans’ religious idiosyncrasy. 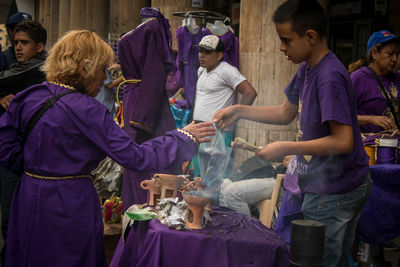 Peddlers, among others, take advantage of the festivity to do a bustling business selling candles, incense, purple robes and other religious items. 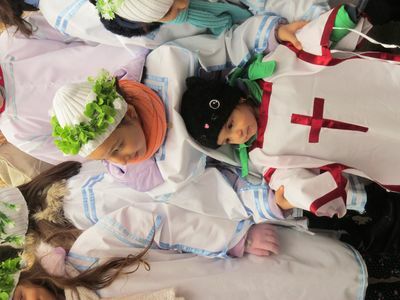 Everyone participates in a different way, from those who join the procession to kids and elders selling merchandise used by the parishioners involved in the ceremony. The experience embraces a symphony of colors, scents, and sounds. 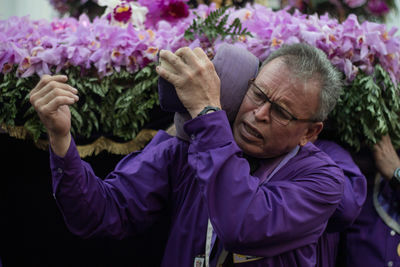 The melody of a church organ meets the crying of the youngsters; the murmur of the prayers meets the discourse of the priest; purple robes, wooden crosses and yellow palm leafs dance to the scent of orchids and incense. 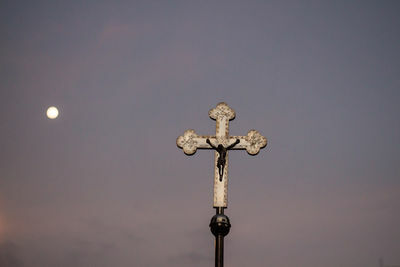 From early morning to late at night, the “normal routine” of the booming capital pauses before these outpourings of Christian faith and devotion. 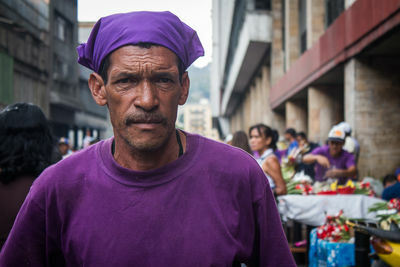 Indeed, Caracas is a city of multiple faces. 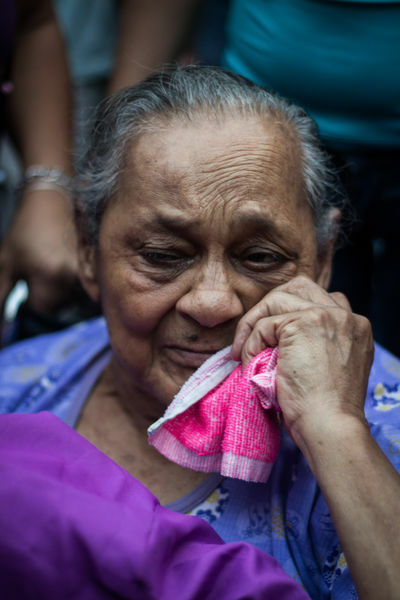 Amidst their convoluted lives, Caraqueños (people from Caracas) still seek the love and unity that these days are harder to come by. 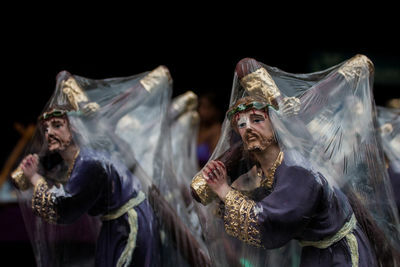 Indeed, the Wednesday of the Holy Week is hardly the only time that Caraqueños take to the streets from dawn ‘til dusk. Milagros (right) 19 years old sells candles each year since she was 5. She can make 400 BsF (2$) for each box of candles. Figures of the Nazarene are part of the merchandise displayed near the church along with the robes, crosses, rosaries, etc. Junior, 13 (right) helps his mother with the selling; they come from Tachira, a state located on the western border of Venezuela. Genesis Rivas, 6. She and her mother pay a promise each year for health. She was diagnosed with an intestinal disease during pregnancy; she has survived this long and has a great perspective on her future. 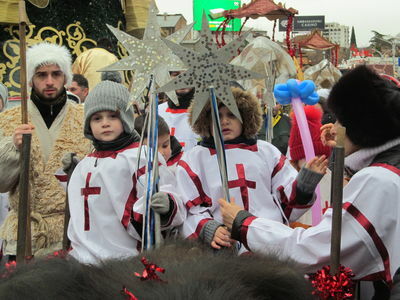 The silver cross is carried by the kids in front of the Nazareno during the procession. As a background, the full moon shines in the sky. 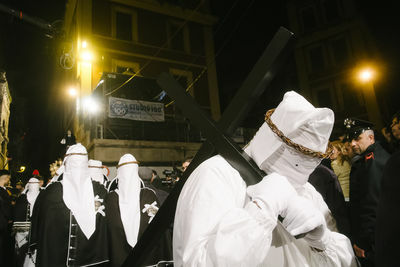 After 17 continuous ceremonies from 12 am to 5 pm every Wednesday from Holy Week the procession starts taking the Christ out the Church around the block and back.